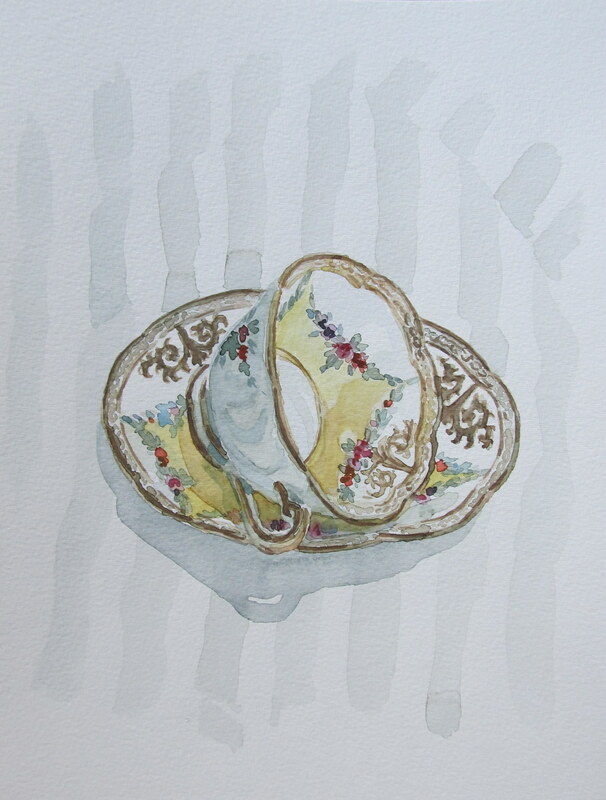 Watercolour Wednesday — Yellow tea-cup. A friend of mine asked for a painting of a tea-cup on its side which, once I started painting it, is much harder than you would think. I discarded the first attempt for this one where I did not get all the circles and angles quite right. I also had not thought about the edges of the tea-cup when I chose this one to paint (one of my favourites from my collection) and the slightly scalloped edges made me a bit loopy. Who knows though—this might turn into another series! I can’t emphasize how much I love this, Dayna! You are amazing! Aw, thank you Dieu! I’m so glad you like it! Simply stunning, Dayna!! It makes me think of my grandma who used to serve us tea and especially coffee (she was a true Norwegian!) when we were younger. You have captured the texture and design beautifully. Well done! I feel like I recognize this teacup…..very nice. I can see how the scalloped edge would make you crazy, but they turned out great! I think a teacup series would be pretty fun! I agree, maybe a tea cup series is in order, your collection is so beautiful. If you’re taking commissions we would love to get on your waiting list!